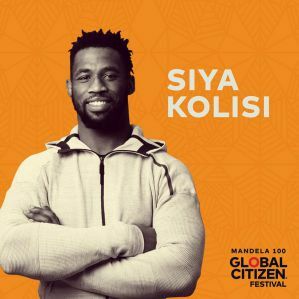 It has just been announced that rugby player and Springbok captain, Siya Kolisi, is now an advocate for the Global Citizen Festival: Mandela 100, a free-ticketed event on Sunday, 2 December 2018 at the FNB Stadium in Johannesburg, South Africa. In his role as official advocate for Global Citizen Festival: Mandela 100, he intends to focus on hunger and education, both of which are very close to his heart. The announcement kicks off Action Journey 3, the third in a series of opportunities for fans and activists to earn their tickets to the event. Global Citizens have been calling on South Africa’s Minister of Labour to achieve equal pay for equal work — regardless of gender. Asking the African Union and Government of Burundi to end discriminatory policies that force expectant teen mothers out of school. Urging Tanzania, Mozambique, Botswana and Nigeria to tackle neglected tropical diseases, especially trachoma. Global Citizen’s Mandela 100 Festival is presented by major partner the Motsepe Foundation with support from major partners Johnson & Johnson, Cisco, Nedbank, Vodacom, Coca Cola, Big Concerts, The Bill and Melinda Gates Foundation and Eldridge Industries, with associate partners from HP and Microsoft.